Our staff specializes in preventing, diagnosing and treating injuries related to participation in sports and exercise in patients of all ages. The specialists at BJC Medical Group Orthopedics and Sports Medicine make it their goal to go beyond simply bringing patients back to reasonable functioning. Instead, their intention is to help people return wholeheartedly to all the activities they enjoy most, including sports and recreational activities. Using the latest technology available, our orthopedic surgeons treat patients suffering from a variety of injuries to bones, muscles, joints, tendons, ligaments and related tissues. We also offer expertise in sports medicine to help patients maximize function and minimize disability and time away from sports, work or school. Dr. Omotola is a board-certified orthopedic surgeon. He also recently achieved a certificate of additional qualification for orthopedic sports medicine. He has worked with athletes at Southern Illinois University-Edwardsville, the New Orleans Hornets and the New Orleans Saints. Dr. Omotola treats all ages needing surgical or nonsurgical care as a result of injuries, defects or disease of the joints, bones, muscles and tendons. He specializes in the treatment of injuries of competitive and recreational athletes. 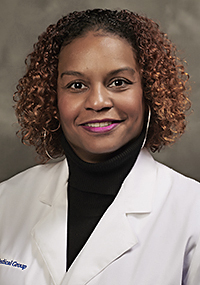 Dr. Omotola's practice is part of the BJC Medical Group of Illinois, a well-established multi-specialty physician group. Dr. Stewart is a sports medicine specialist who sees patients from toddler age to the elderly, providing non-surgical treatment of sport and non-sport related injuries including: fractures, sprains, strains, overuse injuries, arthritis, and is a concussion specialist. She also specializes in diagnostic ultrasound, ultrasound guided injections/procedures, biomechanics, and nutrition counseling. She is dedicated to the well-being of her patients through the support she gives them during treatment and long after recovery. She encourages the involvement of her patients in their treatment plan and takes a precise approach to her consultations. 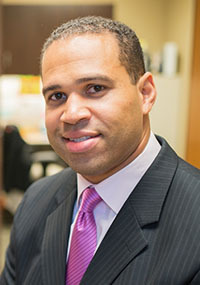 A native of Belleville and a graduate of Belleville East High School, Dr. Stewart serves as the head team physician for Southern Illinois University Edwardsville and Collinsville High School. She has also served as team physician for Saint Louis University and the Gateway Grizzlies, as well as several NCAA and Olympic sporting events. She has also provided relief efforts in Haiti. Dr. Stewart's practice is part of BJC Medical Group of Illinois, a well-established, multi-specialty physician group. 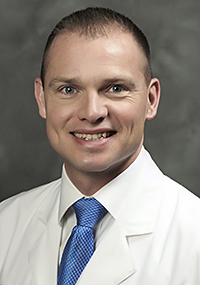 Dr. Stirton is a board-certified orthopedic surgeon for children and adults, and he is one of the only local physicians with formal training in minimally invasive anterior approach hip replacement. He is also the medical director for the Center for Joint Preservation and Reconstruction at Alton Memorial Hospital. One of his knee replacement patients said, "It's good to be able to do things without pain anymore. I was considering an early retirement prior to surgery. Now that I am pain free, I'm looking forward to working for a few more years." He is a member of BJC Medical Group of Illinois, a well-established, multi-specialty physician group.